According to the Australian Red Cross, one in five pregnant women need blood during pregnancy – yet only one in 30 Australians actually donate. So now they’re encouraging all partners of pregnant women to donate blood as their way of helping out. A bloody brilliant idea, I think. I’ve been a blood donor for a few decades now which is something I personally feel is important to do if you’re fit and able, especially as supplies are always so low. You never know when you might need some yourself too – just as my mother did when she gave birth to my eldest sister and required a blood transfusion. Unfortunately you can’t donate blood when you’re pregnant or in the early stages of breastfeeding, and having children makes it harder to schedule an appointment in for busy mums, so over the course of having my three kids, I’ve had to take a few breaks from donations. By sheer coincidence, on the very same day a new ad campaign from the Australian Red Cross appears, I happen to be giving blood this afternoon – my first donation since having my last child. It must be a sign! The new commercial shows a number of expecting couples talking about how their partner helps them in various ways during the pregnancy, and then goes on to explain that one in five women will require blood during pregnancy and urges all partners of those who are pregnant to donate blood each trimester as a way of contributing. According to the Australian Red Cross, the drive is a way to ensure that all pregnant women who need lifesaving blood will actually receive it. “To continue to collect enough blood to support these women, we need regular donations. 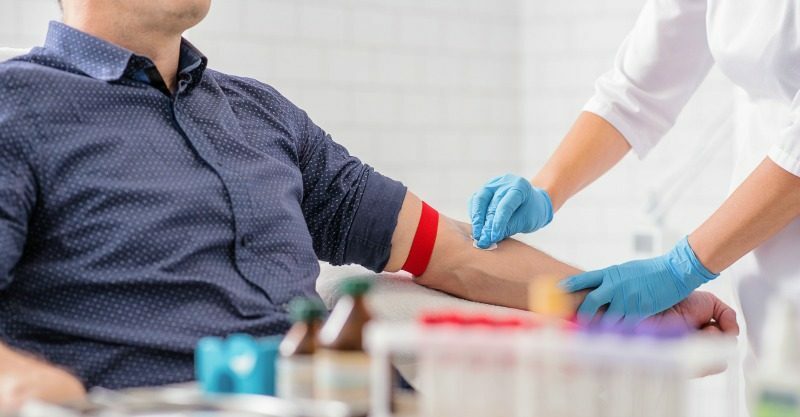 So we decided to ask the people who care about them the most – their partners,” says Jude Leon, head of integrated marketing communications at The Australian Red Cross Blood Service told Mumbrella. “While pregnancy is an exciting time for everyone, from the very first appointment the focus is squarely on mother and child. Our aim is to give partners their own role in this process, one that makes them feel like they’re contributing more than just emotional support,” he added. This new blood drive is so brilliant for a lot of reasons. Firstly, it’s a great way to recruit new donors – something which is vital considering how few Aussies actually donate. But it’s also a lovely and meaningful way that partners can feel involved in the pregnancy process and give something back. When you’re pregnant, you have to go to so many medical appointments, which can include having blood samples taken, so a little blood donation each trimester from your partner not only lets him have a turn in the chair, but more importantly allows him to help save the lives of other pregnant women by boosting the much-needed blood supplies. Giving blood doesn’t hurt or take up much time, especially when you consider it’s helping to save lives, so if you’re expecting right now then why not ask your partner to get on board?! To find out more about how your partner can donate blood, please visit the Australian Red Cross blood service.